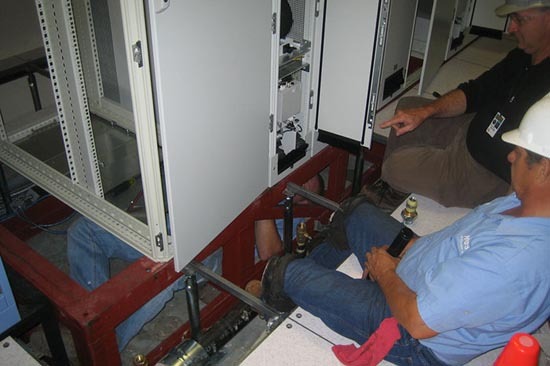 Not only is maximizing safety to protect against arc-flash important for peace of mind for both employer and employee, but it will help a data center remain OSHA compliant which reduces liability and cuts down on costs. The specifics of how a data center will implement protection against arc-flash are complex and highly individualized. Data centers that do implement best security practices, though, will ultimately improve safety and uptime. When designing infrastructure and preparing a data center it is critical that an arc –flash analysis be completed before a data center is up and running at full capacity. Data Center Knowledge elaborates on what is involved in an arc-flash analysis or study, ““An arc flash study looks at all the electrical components, from the source at the power company, the whole way through to the plugs that you plug into your IT equipment,” Furmanski told us in an interview. “They look at how all the circuit breakers are set up — it’s called a coordination study — and they look at the power going through. They punch in all these formulas to figure out, will these breakers move fast enough if there’s an electrical short, or will they move too slowly and let the capability of an arc flash be created?” If your data center has not recently had an arc-flash analysis, or you are not sure if it ever has, it is incredibly important to complete one as soon as possible to maximize worker safety and uptime. This entry was posted in Computer Room Design, computer room maintenance, Data Center Construction, Data Center Design, data center equipment, Data Center Infrastructure Management, DCIM, Facility Maintenance and tagged computer room maintenance, data center equipment, data center maintenance, Phoenix Data Center Construction. Bookmark the permalink.